HUGE NEWS – it’s finally here!! That’s right, we’re talking about the all-new album from none other than Justin Timberlake, complete with an accompanying 2018 tour!! 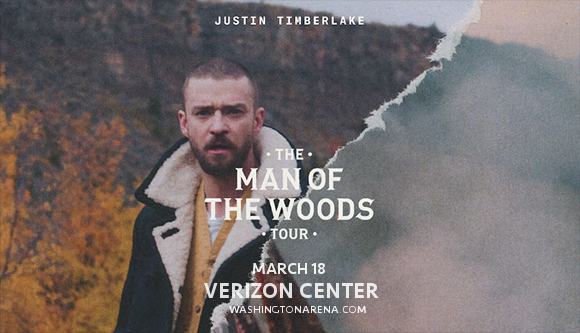 The “Man Of The Woods,” tour comes to the Verizon Center on Sunday 18th March 2018 – get your tickets way in advance, before they sell out, and get ready for Justin Timberlake’s incredible signature live performance!! Get ready to hear it all in person – hurry and grab those tickets! !